Exercise Institute is now a provider and fitter of BONT Cycling Shoes. 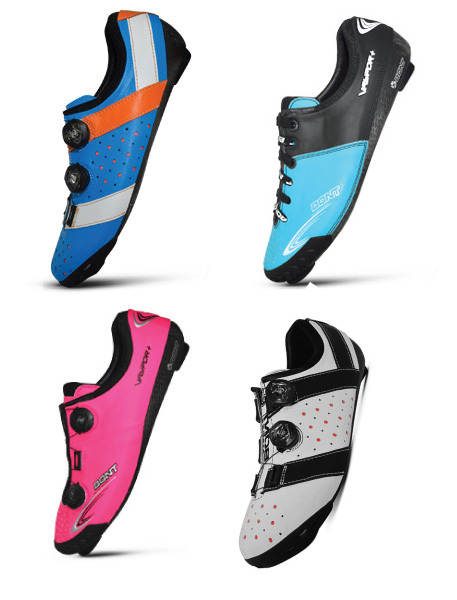 Bont allows for the complete customise colour of your own shoe. To see the BONT catalogue please see here, or contact us here. We offer a premium fitting service including custom moulding, foot assessment and review for $80. A worthy investment for anyone with injury or soreness. The reason for the steps after shoe fitting in the fitting process, is that the shoe forms only one of the variables in the foot-shoe-pedal interface. The other variables include stack height (shoe, cleat and pedal platform height above spindle), cleat fore-aft, cleat angle and cleat wedging inward or out. All variables are directly dependent on each other, so to change one will change the others. A good example is stack height, Bont’s have a very low stack, so when changing from a different brand it may be necessary to alter the saddle height in order to keep the original height the same.